I like what this article recommends about visiting the vet before the appointment to ensure the dog won’t feel nervous from being in a new place. My dog tends to be really nervous around new people and places so going there with no obligation would be helpful to get him familiar with it. I’ll also have to remember to keep her happy when we’re waiting in the vet to make sure he doesn’t get anxiety from sitting around for too long. Thanks so much for the feedback. I have been in many situations where a dog had very bad experiences at the vet. Even though the dog was great everywhere else, the vet visit triggered bad memories and bad reactions. I would also suggest you request that the Doctor and/or a vet tech actually come visit you while in the waiting room for a brief time, if they are not too busy. Let them know what you are doing and usually they are very willing to help out. 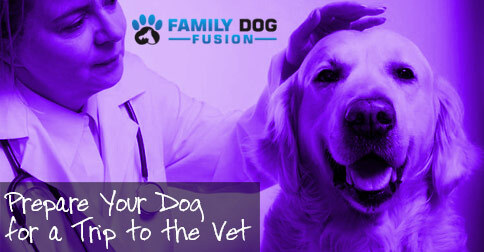 Most vets want the dog’s visit to be a good experience as well. I like that you suggested visiting the vet before any appointments to get them comfortable while they are there while knowing new people. I will definitely do this before I get my dog checked. We just think that she might need to undergo a surgery because there is a cyst on her left leg that keeps on growing. Thank you, Millie, for the comment. I hope the results of the cyst come out good for you all and that she is in good health. Thanks for listening.